Sterling Silver Blue Topaz Earrings Just $24.99! You are here: Home / Great Deals / Amazon Deals / Sterling Silver Blue Topaz Earrings Just $24.99! What a great, unique blue color in these Topaz earrings – Gorgeous! This color is called London Blue Topaz, which is a midnight blue hue, set off beautifully in Sterling Silver with a Rhodium finish! 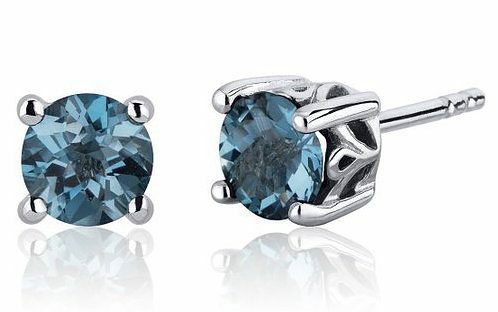 Get the London Blue Topaz Round Cut Stud Earrings in Sterling Silver For Only $24.99!